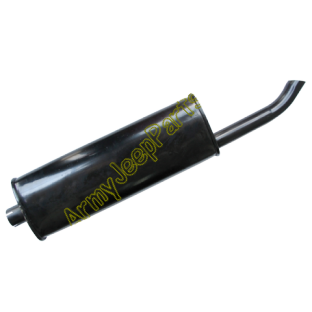 Muffler , side mnt oval type. These are new for Dec 08. These are the best\r\nrepro oval mufflers we have seen yet. Painted in nice flat OD.